A wise friend of mine often talks about applying ancient martial arts strategy to advocacy, and one of his favorite lessons is the importance of maintaining balance. He describes "in judo, the art of breaking the opponent's balance is called kuzushi, which can be the first step to victory." Maintaining one's balance is very important because when someone is off balance or reaches too far, perhaps due to "the influence of anger, fear, ideology,or even a conviction of being right" then an opportunity is presented for the opponent to act, sometimes with devastating results. I was reminded of this concept of Kuzushi when reading the following quotes from Reza Aslan on Wednesday night's Rachel Maddow show, (as quoted by Nico Pitney for Huffington Post). What's really fascinating about what's happening right now in 2009 is that it looks a lot like what was happening in 1979. And there's a very simple reason for that. The same people are in charge -- I mean, Mousavi, Rafsanjani, Khatami, Medhi Karroubi, the other reformist candidate -- these were all the original revolutionaries who brought down the Shah to begin with, so they know how to do this right. And so what you're going to see tomorrow is something that was pulled exactly out of the playbook of 1979, which is that you have these massive mourning rallies, where you mourn the deaths of those who were martyred in the cause of freedom. And these things tend to get a little bit out of control, they often result in even more violence by the security forces and even more deaths, which then requires another mourning rally which is even larger, which then requires more violence from the government, and this just becomes an ongoing snowball that can't be stopped. That's how the Shah was removed from power, was these mourning ceremonies. And so Mousavi very smartly calling for an official -- not a rally -- but an official day of mourning tomorrow. I think we're going to see crowds that we haven't even begun to see yet, and then follow that, on Friday, which is sort of the Muslim sabbath, the day of prayer, which is a traditionally a day of gathering anyway. This is just beginning, Rachel, this is just the beginning. Notice the thinking from "the playbook of 1979" to organize mourning rallies that have positive value rather than protests, with the expectation that supporters of hard-line President Mahmoud Ahmadinejad will likely overreact and thus place themselves off balance. 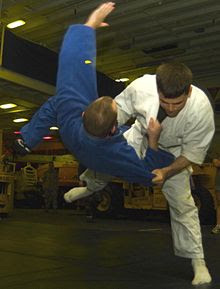 Just as in a Judo sparring match, when an opponent reaches too far, they leave themselves off-balance and open for a counter attack. It appears that Mousavi and his friends learned this lesson well about 30 years ago with the 1979 Iranian Revolution. Will history repeat itself with the overthrow of another Iranian leader who reached too far and left themselves off balance? For the sake of Iranians who seek freedom. I hope so.